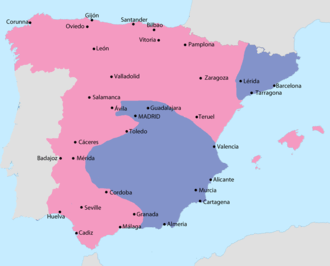 Revolutionary Catalonia (July 21, 1936 – 1939) was the part of Catalonia (a region in northeast Spain) controlled by the anarchist and socialist trade unions, parties, and militias during the Spanish Civil War. These included the Confederación Nacional del Trabajo (CNT, National Confederation of Labor) which was the dominant labor union at the time and the closely associated Federación Anarquista Ibérica (FAI, Iberian Anarchist Federation). The Unión General de Trabajadores (General Worker's Union), the POUM and the Unified Socialist Party of Catalonia (which included the Communist Party of Catalonia) were also involved. 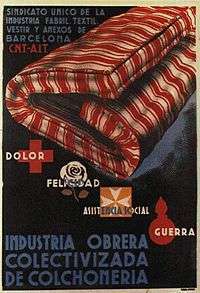 Although the Catalonian Generalitat was nominally in power, the trade unions were de facto in command of most of the economy and military forces. Socialist rule of the region began with the Spanish Revolution of 1936, resulting in workers' control of businesses and factories, collective farming in the countryside, and attacks against Spanish nationalists and the Catholic clergy. The growing influence of the Communist Party of Spain's (PCE) Popular Front government and their desire to nationalize revolutionary committees and militias brought it into conflict with the CNT and POUM, resulting in the May Days and the eventual replacement of the CNT by the PCE as the major political force in Catalonia until the arrival of the fascists. In the early 20th century, socialism and anarchism grew throughout Spain. There was widespread discontent in Catalonia, which was heavily industrialized and was a stronghold of the anarcho-syndicalist trade unions. A series of strikes due to wage cuts and in response to military conscription for the Rif War in Morocco culminated in the Setmana Tràgica (Tragic Week), July 25 – August 2, 1909, in which workers rose up in revolt and were suppressed by the army. The anarcho-syndicalist Confederación Nacional del Trabajo (CNT) was formed in October 1910 and immediately called for a general strike, which was suppressed by the military. Further strikes followed in 1917 and 1919 amidst growing violence between the police and trade unions. With the CNT outlawed, the Federación Anarquista Ibérica (FAI) was formed in 1927 as a clandestine alliance of affinity groups during the dictatorship of Miguel Primo de Rivera. Its radical members, who were also part of the CNT, exerted considerable influence on the other members of the trade union. During the Second Spanish Republic, anarchists continued to lead uprisings such as the Casas Viejas revolt in 1933 and the Asturian miners' strike of 1934 which was brutally put down by Francisco Franco with the aid of Moorish troops. During the Spanish coup of July 1936, anarchist and socialist militias, along with Republican forces including the Assault and Civil Guards, defeated the forces controlled by Nationalist army officers in Catalonia and parts of eastern Aragon. The Confederación Nacional del Trabajo-Federación Anarquista Ibérica now came to the forefront as the most powerful organization in Barcelona, seizing many arms and strategic buildings such as the telephone exchange and post offices. Through the various factory and transport committees, they dominated the economy of Catalonia. In spite of their militant anti-statism, they decided not to overthrow the Catalan government. The president of the Generalitat of Catalonia and head of the Republican Left of Catalonia (ERC), Lluís Companys, was generally accommodating with the CNT but was wary of their appropriation of the means of production. The CNT and Companys worked together to set up the Central Anti-Fascist Militia Committee, which became the main governing body in the region. In spite of the fact that anarchist philosophy was against centralized government of any form and that the CNT-FAI had always shunned parliamentary politics while attacking the Socialists for collaborating with the state, by September 1936 they had decided to join the Generalitat of Catalonia. The CNT feared that arms would be withheld and that they would be isolated if the Generalitat under Lluís Companys formed a government with the Unified Socialist Party of Catalonia (PSUC). CNT members filled the Ministries of Health, Supplies and Economy and the Central Anti-Fascist Militia Committee was dissolved. Soon after, the CNT also joined the national government. On October 18 a CNT plenary session of the regional federations granted the national committee secretary Horacio Martínez Prieto full powers to conduct negotiations with prime minister Francisco Largo Caballero. CNT representatives Juan García Oliver, Joan Peiró, Federica Montseny and Juan López filled seats in Caballero's cabinet. They took control of the national ministry of justice, industry, health and commerce, respectively. The CNT saw this "maximum concession compatible with its antiauthoritarian spirit" as crucial to winning the war. There was widespread friction and debate between the "collaborationist" and "abstentionist" anarchists in the CNT. Many anarchists outside of Spain (such as Alexander Schapiro) criticized CNT-FAI for entering into the government. There was also concern among anarchists with the growing power of Marxist communists within the government. Anarchist Minister of Health Federica Montseny later explained: "At that time we only saw the reality of the situation created for us: the communists in the government and ourselves outside, the manifold possibilities, and all our achievements endangered." Some anarchists outside of Spain viewed their concessions as necessary considering the possibility of the Nationalists winning the war. Emma Goldman said, "With Franco at the gate of Madrid, I could hardly blame the CNT-FAI for choosing a lesser evil: participation in government rather than dictatorship, the most deadly evil." Cinema ticket from a venue run by the CNT. Throughout Catalonia many sectors of the economy fell under the control of the anarchist CNT and the socialist UGT trade unions, where workers' self-management was implemented. These included Railways, streetcars, buses, taxicabs, shipping, electric light and power companies, gasworks and waterworks, engineering and automobile assembly plants, mines, mills, factories, food-processing plants, theaters, newspapers, bars, hotels, restaurants, department stores, and thousands of dwellings previously owned by the upper classes. While the CNT was the leading organization in Catalonia, it often shared power with the UGT. For example, control of the Spanish National telephone company, was put under a joint CNT-UGT committee. George Orwell describes the scene as he arrived in Barcelona. It was the first time I had ever been in a town where the working class was in the saddle. Practically every building of any size had been seized by the workers and was draped with red flags or with the red and black flag of the Anarchists; every wall was scrawled with the hammer and sickle and with the initials of the revolutionary parties; almost every church had been gutted and its images burnt. Churches here and there were being systematically demolished by gangs of workmen. Every shop and café had an inscription saying that it had been collectivised; even the bootblacks had been collectivised and their boxes painted red and black. Waiters and shop-walkers looked you in the face and treated you as an equal. Trade union control also spread to small businesses of the middle class handicraft men and tradesmen. In Barcelona, the CNT collectivized the sale of fish and eggs, slaughterhouses, milk processing and the fruit and vegetable markets, suppressing all dealers and sellers that were not part of the collective. Many retailers joined the collectives but others refused, wanting higher wages than the workers. Throughout the region, the CNT committees replaced the middle class distributors and traders in many businesses including retailers and wholesalers, hotel, café, and bar owners, opticians and doctors, barbers and bakers. Though the CNT tried to persuade the members of the middle class and small bourgeoisie to join the revolution, they were generally unwelcoming to the revolutionary changes wanting more than just expropriation of their businesses under force or threat of force and a worker's wage. After the first few days of euphoria, the workers returned to work and found themselves without responsible management. This resulted in the creation of workers' committees in factories, workshops and warehouses, which tried to resume production with all the problems that a transformation of this kind entailed. Owing to inadequate training and the sabotage of some of the technicians who remained many others had fled with the owners the workers' committees and other bodies that were improvised had to rely on the guidance of the unions.... Lacking training in economic matters, the union leaders, with more good will than success, began to issue directives that spread confusion in the factory committees and enormous chaos in production. This was aggravated by the fact that each union... gave different and often contradictory instruction. 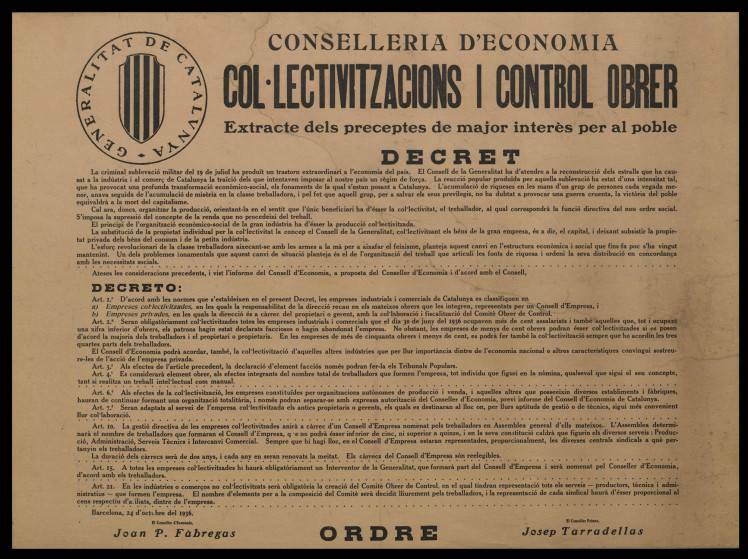 In response to these problems, the Generalitat of Catalonia, backed by the CNT approved a decree on "Collectivization and Workers' Control" on 24 October 1936. Under this decree all firms with more than 100 workers were to be collectivized and those with 100 or less could be collectivized if a majority of workers agreed. All collectivized enterprises were to join general industrial councils, which would be represented in a decentralized planning agency, the Economic Council of Catalonia. Representatives of the Generalitat would be appointed by the CNT to these regional councils. The goal of this new form of organization would be to allow economic planning for civilian and military needs and stop the selfishness of more prosperous industries by using their profits to help others. However these plans for libertarian socialism based on trade unions was opposed by the socialists and communists who wanted a nationalized industry, as well as by unions which did not want to give up their profits to other businesses. Another problem faced by the CNT was that while many collectivized firms were bankrupt, they refused to use the banks because the financial institutions were under the control of the socialist UGT. As a result of this, many were forced to seek government aid, appealing to Juan Peiró, the CNT minister of industry. Socialists and Communists in the government however, prevented Peiró from making any move which promoted collectivization. After the initial disruption, the unions soon began an overall reorganization of all trades, closing down hundreds of smaller plants and focusing on those few better equipped ones, improving working conditions. In the region of Catalonia, more than seventy foundries were closed down, and production concentrated around twenty four larger foundries. The CNT argued that the smaller plants were less efficient and secure. In Barcelona, 905 smaller beauty shops and barbershops were closed down, their equipment and workers being focused on 212 larger shops. Although there were early issues with production in certain instances, however, numerous sources attest that industrial productivity doubled almost everywhere across the country and agricultural yields being "30-50%" larger, demonstrated by Emma Goldman, Augustin Souchy, Chris Ealham, Eddie Conlon, Daniel Guerin and others. If you didn't want to join the collective you were given some land but only as much as you could work yourself. You were not allowed to employ workers. Not only production was affected, distribution was on the basis of what people needed. In many areas money was abolished. People come to the collective store (often churches which had been turned into warehouses) and got what was available. If there were shortages rationing would be introduced to ensure that everyone got their fair share. But it was usually the case that increased production under the new system eliminated shortages. In agricultural terms the revolution occurred at a good time. Harvests that were gathered in and being sold off to make big profits for a few landowners were instead distributed to those in need. Doctors, bakers, barbers, etc. were given what they needed in return for their services. Where money was not abolished a 'family wage' was introduced so that payment was on the basis of need and not the number of hours worked. Production greatly increased. Technicians and agronomists helped the peasants to make better use of the land. Modern scientific methods were introduced and in some areas yields increased by as much as 50%. There was enough to feed the collectivists and the militias in their areas. Often there was enough for exchange with other collectives in the cities for machinery. In addition food was handed over to the supply committees who looked after distribution in the urban areas. Another aspect of the revolution was the rise of an anarcha-feminist women's movement, the Mujeres Libres. The organization, with 30,000 members at its disposal, set up schools to educate women and worked to persuade prostitutes to give up their way of life. The anarcho-feminists argued that overthrow of patriarchal society was just as necessary for personal freedom, as the creation of a classless society. To demonstrate this new sexual equality, some women even fought at the front (no more than one thousand) and several more joined women's battalions in the rear. Just as in the cities, peasant revolutionaries seized land in the countryside and organized collective farms. According to professor Edward E. Malefakis, between half and two-thirds of all cultivated land in Republican Spain was seized. The targets were mainly small and medium landholders, since most of the large landholdings had fallen to the nationalists. Collectivization in the countryside generally began with the establishment of CNT-FAI committees. These committees collectivized the soil of the rich and in some cases the soil of the poor as well. Farm buildings, machinery, transport and livestock were also collectivized. Food reserves and other amenities were stored in a communal depot under committee control. In many localities, money was abolished and wages paid by coupons issued by the committee, the size of which was determined the size of the family. Locally produced goods were free if abundant, or bought with coupons at the communal storage. Money was only used in trade with regions that had not adopted this system, and trade with other anarchist regions was done by barter. Since the committee controlled all the money supply, travel to another region required getting permission and money from the committee. For the CNT, collectivization was a key component of the revolution, they feared that the small holders and tenant farmers would form the core of a new landholding class and act as an obstacle to the revolution. The Anarchists also believed that private ownership of land created a bourgeois mentality and led to exploitation. While the official policy of the CNT was that of peaceful voluntary collectivization and many small farmers and peasant proprietors voluntarily joined the collectives, a larger proportion of them opposed collectivization or joined only after extreme duress. The presence of armed CNT militiamen also had the effect of imposing fear on those who opposed collectivization. Those smallholders who refused collectivization were prevented from hiring any laborers and usually were forced to sell their crops directly to the committees, on their terms. They were also often denied the services of the collectivized businesses such as the barbershops and bakeries, use of communal transport, farm equipment and food supplies from communal warehouses. All of these economic pressures combined caused many tenant farmers and smallholders to give up their land and join the collectives. While some joined voluntarily, others, especially in the beginning of the revolution, were forced to join the collectives by anarchist militias. The anarcho-syndicalist periodical Solidaridad Obrera reported that: "Certain abuses have been committed that we consider counterproductive. We know that certain irresponsible elements have frightened the small peasants and that up to now a certain apathy has been noted in their daily labors." The voluntary nature of the rural collectivization varied from region to region. According to Ralph Bates: "While there were plenty of abuses, forced collectivization, etc., there were plenty of good collectives, i.e., voluntary ones." A number of scholars and writers on the subject of the Spanish Civil War counter that the presence of a "coercive climate" was an unavoidable aspect of the war that the anarchists cannot be fairly blamed for, and that the presence of deliberate coercion or direct force was minimal, as evidenced by a generally peaceful mixture of collectivists and individualist dissenters who had opted not to participate in collective organization. The latter sentiment is expressed by historian Antony Beevor in his Battle for Spain: The Spanish Civil War, 1936-1939. "The justification for this operation (whose ‘very harsh measures’ shocked even some Party members) was that since all the collectives had been established by force, Líster was merely liberating the peasants. There had undoubtedly been pressure, and no doubt force was used on some occasions in the fervor after the rising. But the very fact that every village was a mixture of collectivists and individualists shows that the peasants had not been forced into communal farming at the point of a gun." Historian Graham Kelsey also maintains that the anarchist collectives were primarily maintained through libertarian principles of voluntary association and organization, and that the decision to join and participate was generally based on a rational and balanced choice made after the destabilization and effective absence of capitalism as a powerful factor in the region. Libertarian communism and agrarian collectivization were not economic terms or social principles enforced upon a hostile population by special teams of urban anarchosyndicalists, but a pattern of existence and a means of rural organization adopted from agricultural experience by rural anarchists and adopted by local committees as the single most sensible alternative to the part-feudal, part-capitalist mode of organization that had just collapsed. There is also focus placed by pro-anarchist analysts on the many decades of organization and shorter period of CNT-FAI agitation that was to serve as a foundation for high membership levels throughout anarchist Spain, which is often referred to as a basis for the popularity of the anarchist collectives, rather than any presence of force or coercion that allegedly compelled unwilling persons to involuntarily participate. The disillusioned middle classes soon found allies in the Communist party which was quite moderate in comparison to the CNT, was generally against the mass collectivization of the revolution and called for the property of smallholders and tradesmen to be respected. They defended the right of the small proprietor to hire laborers and to control the sale of his crops without interference from the local committees. This moderate Communist appeal to the middle classes was in line with the Comintern strategy for a popular front alliance with the liberal and republican center parties. 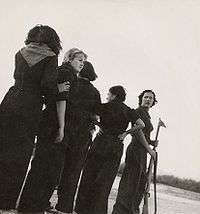 Women training for a Republican militia outside Barcelona, August 1936. After the military rebellion, the Republic was left with a decimated officer corps and a severely weakened army in the regions it still controlled. Since the army was unable to resist the rebellion, the fighting mainly fell to the militia units organized by the various labor unions. While army officers joined these columns, they were under the control of whichever organization had formed them. The militias suffered from a wide variety of problems. They were inexperienced and lacked discipline and unity of action. Rivalry between the various organizations exacerbated the lack of any centralized command and general staff. The appointed professional officers were not always respected. They also lacked heavy weapons. Militiamen would often leave the front whenever they wished. Republican officer Major Aberri said of the militiamen he encountered at the Aragon front: "It was the most natural thing in the world for them to leave the front when it was quiet. They knew nothing of discipline, and it was clear that nobody had bothered to instruct them on the subject. After a forty-hour week at the front they got bored and left it...."
In the initial months the ministry of war had little authority over transport and was forced to rely on the National Committee of Road Transport controlled by the CNT and UGT. The committees, unions and parties widely disregarded demands from the ministry of war and retained equipment and vehicles for themselves and their own militia forces. In the CNT militias especially, there was no hierarchy, no saluting, no titles, uniforms or distinction in pay and quartering. They were organized into centuries with democratically elected leaders that had no permanent authority. Later it became the fashion to decry the militias, and therefore to pretend that the faults which were due to lack of training and weapons were the result of the equalitarian system. Actually, a newly raised draft 'of militia was an undisciplined mob not because the officers called the private 'Comrade' but because raw troops are always an undisciplined mob. In practice the democratic 'revolutionary' type of discipline is more reliable than might be expected. In a workers' army discipline is theoretically voluntary. It is based on class-loyalty, whereas the discipline of a bourgeois conscript army is based ultimately on fear. (The Popular Army that replaced the militias was midway between the two types.) In the militias the bullying and abuse that go on in an ordinary army would never have been tolerated for a moment. The normal military punishments existed, but they were only invoked for very serious offences. When a man refused to obey an order you did not immediately get him punished; you first appealed to him in the name of comradeship. Cynical people with no experience of handling men will say instantly that this would never 'work', but as a matter of fact it does 'work' in the long run. The discipline of even the worst drafts of militia visibly improved as time went on. In January the job of keeping a dozen raw recruits up to the mark almost turned my hair grey. In May for a short while I was acting-lieutenant in command of about thirty men, English and Spanish. We had all been under fire for months, and I never had the slightest difficulty in getting an order obeyed or in getting men to volunteer for a dangerous job. 'Revolutionary' discipline depends on political consciousness--on an understanding of why orders must be obeyed; it takes time to diffuse this, but it also takes time to drill a man into an automaton on the barrack-square. The journalists who sneered at the militia-system seldom remembered that the militias had to hold the line while the Popular Army was training in the rear. And it is a tribute to the strength of 'revolutionary' discipline that the militias stayed in the field-at all. The most effective Anarchist unit in Catalonia was the Durruti Column, led by the militant Buenaventura Durruti, it fought mainly in the Aragon front. It was the only anarchist unit which managed to gain respect from otherwise fiercely hostile political opponents. In a section of her memoirs which otherwise lambasts the anarchists, Communist militant Dolores Ibárruri states, "The [Spanish Civil] war developed with minimal participation from the anarchists in its fundamental operations. One exception was Durruti...."
The column began with 3,000 troops but at its peak, was made up of about 8,000 people. They had a difficult time getting arms from a suspicious Republican government, so Durruti and his men compensated by seizing unused arms from government stockpiles. Durruti's death on November 20, 1936, weakened the Column in spirit and tactical ability; they were eventually incorporated, by decree, into the regular army. Over a quarter of the population of Barcelona attended Durruti's funeral. It is still uncertain how Durruti died. Modern historians tend to agree that it was an accident, perhaps a malfunction with his own gun. Widespread rumors at the time claimed treachery by his men. Anarchists tended to claim that he died heroically and was shot by a fascist sniper. Because of the need to create a centralized military, the Communist party was in favor of establishing a regular army and integrating the militias into this new force. They were the first party to dissolve their militia forces, including the fifth regiment, one of the most effective units in the war, and create mixed brigades, forming the core of the new Popular Army. These units were firmly under the oversight of Communist party commissars and under the command of experienced army officers. The Communist party eventually came to dominate the leadership of the new army through their commissars, who used any means at their disposal, including violence and death threats, to increase party membership. Soviet army advisers and NKVD agents also exercised considerable influence within the new armed forces. Map of the Aragon front. The CNT, POUM and other socialist militias initially resisted the integration. The CNT saw the militias as representing the will of the people while a centralized army was against its anti-authoritarian principles. They also feared the army as an organ of the Communist party, and these fears were backed up by the historical suppression of Russian anarchists by the Bolsheviks during the Russian Revolution. However, the CNT were eventually forced to yield to militarization, since the government refused to supply and arm its militias unless they joined the regular army. The experiences of CNT leaders in the front with the badly organized militias and the examples of better structured units such as the International Brigades also made them change their minds and support the creation of a regular army. The CNT conducted its own militarization. Helmut Ruediger of the International Workers' Association (AIT) reported on May 1937: "There is now in the central zone a CNT army of thirty-three thousand men perfectly armed, well-organized, and with membership cards of the CNT from the first to the last man, under the control of officers also belonging to the CNT." Militarization was still resisted by the most radical Anarchists within the CNT-FAI who were extremely passionate about their libertarian ideals. More than any other unit, the famous and notorious Iron Column fiercely resisted militarization. Composed of anarchists from Valencia and freed convicts, the Iron Column was critical of the CNT-FAI for joining the national government and defended the militia system in their periodical Linea de Fuego. The CNT refused to supply them with arms and in March 1937 they were incorporated into the regular army. After the fall of the government of Francisco Largo Caballero and the rise of the Communist party to dominance in the armed forces, the integration of the militias was accelerated and most units were coerced into joining the regular army. During the Civil War, the Spanish Communist Party gained considerable influence due to the Republican force's reliance on weapons, supplies and military advisers from the Soviet Union. Furthermore, the Communist party (now working as the dominant force within the PSUC) constantly proclaimed that it was promoting "bourgeois democracy" and was fighting in defense of the Republic, not for proletarian revolution. Opposition to collectivization and the camouflaging of the true nature of the Spanish revolution by the Communist party was mainly due to the fear that the establishment of a revolutionary socialist state would antagonize Western Democracies. The PSUC had also become the major defender of the Catalan middle classes against collectivization, organizing 18,000 tradesmen and artisans into the Catalan Federation of Small Businessmen and Manufacturers (GEPCI). The party's attacks on the revolution, particularly the replacement of revolutionary committees with regular organs of state power brought it into conflict with the CNT-FAI, a major supporter of the revolutionary committees and the most powerful working class organization in Catalonia. The revolutionary Boletín de Información declared that: "The thousands of proletarian combatants at the battle fronts are not fighting for the 'democratic Republic.' They are proletarian revolutionaries, who have taken up arms in order to make the Revolution. To postpone the triumph of the latter until after we win the war would weaken considerably the fighting spirit of the working class.... The Revolution and the war are inseparable. Everything that is said to the contrary is reformist counterrevolution." In spite of this, CNT ministers in the government also acquiesced to decrees which dissolved revolutionary committees, largely because they believed this would lead to closer ties with Britain and France. In the Catalan Generalitat, power was divided between the CNT, PSUC and Republican Left of Catalonia (ERC). Another influential party in Barcelona was the POUM (Workers' Party of Marxist Unification) which espoused an anti-Stalinist far left ideology, and was thus denounced by the PSUC as Trotskyist and Fascist. In turn, the POUM newspaper La Batalla accused the Communists of being counterrevolutionary. On December 1936 the CNT and PSUC agreed to remove the POUM from the Catalan government. This was possibly influenced by Soviet consul Vladimir A. Antonov-Ovseenko who threatened to withdraw arm shipments. The PSUC now sought to weaken the CNT committees through an alliance with the urban middle classes and the rural tenant farmers in the Unió de Rabassaires. They passed a decree banning the committees, but could not effectively enforce it. This was because police power in Barcelona was divided between the CNT controlled patrols under the Junta de seguridad and the Assault and National Republican guards, under police commissioner Rodríguez Salas, a PSUC member. The PSUC and ERC then passed a set of decrees to dissolve the patrols and create a single unified security corps. CNT representatives in the Generalitat did not object, but there was widespread discontent among Anarchists and the POUM. Further decrees by the Generalitat which called up conscripts, dissolved military committees and provided for the integration of the militias into a regular army caused a crisis in which CNT ministers walked out of the government in protest. The POUM also opposed the decrees. Tensions where only exacerbated following the well publicized murders of PSUC secretary Roldán Cortada and Anarchist committee president Antonio Martín. Armed raids and attempts by the Republican guards to disarm the Anarchists and the seizure of towns along the French border from revolutionary committees led the CNT to mobilize and arm its workers. The immediate cause of friction was the Government's order to surrender all private weapons, coinciding with the decision to build up a heavily-armed 'non-political' police-force from which trade union members were to be excluded. The meaning of this was obvious to everyone; and it was also obvious that the next move would be the taking over of some of the key industries controlled by the C.N.T. In addition there was a certain amount of resentment among the working classes because of the growing contrast of wealth and poverty and a general vague feeling that the revolution had been sabotaged. Many people were agreeably surprised when there was no rioting on I May. On 3 May the Government decided to take over the Telephone Exchange, which had been operated since the beginning of the war mainly by C.N.T. workers; it was alleged that it was badly run and that official calls were being tapped. Salas, the Chief of Police (who may or may not have been exceeding his orders), sent three lorry-loads of armed Civil Guards to seize the building, while the streets outside were cleared by armed police in civilian clothes. At about the same time bands of Civil Guards seized various other buildings in strategic spots. Whatever the real intention may have been, there was a widespread belief that this was the signal for a general attack on the C.N.T. by the Civil Guards and the P.S.U.C. (Communists and Socialists). The word flew round the town that the workers' buildings were being attacked, armed Anarchists appeared on the streets, work ceased, and fighting broke out immediately. The Civil guards took the ground floor of the telephone building, but were prevented from taking the upper levels. Soon, trucks carrying armed anarchists arrived. CNT councilors demanded the removal of police commissioner Rodríguez Salas, but Lluís Companys refused. The POUM stood by the CNT and advised them to take control of the city, but the CNT appealed to the workers to cease fighting. With the situation deteriorating, a meeting of CNT delegates from Valencia and the Generalitat under Companys agreed on a ceasefire and a new provisional government, but despite of this, the fighting continued. Dissenting anarchists such as the "Friends of Durruti" and radical members of the POUM along with Bolshevik Leninists spread propaganda to continue to the fighting. 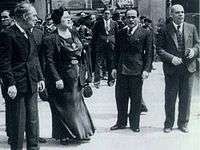 On Wednesday, May 5, prime minister Largo Caballero, under constant pressure from the PSUC to take control of public order in Catalonia, appointed Colonel Antonio Escobar of the Republican Guard as delegate of public order, but on his arrival in Barcelona, Escobar was shot and seriously wounded. After constant appeals by the CNT, POUM and UGT for a ceasefire, the fighting abated on the morning of May 6. 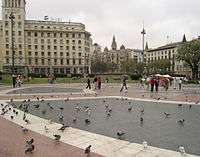 In the evening, news reached Barcelona that 1,500 assault guards were approaching the city. The CNT agreed on a truce after negotiations with the minister of interior back in Valencia. They agreed that the assault guards would not be attacked as long as they refrained from violence and that the CNT would order its members to abandon the barricades and go back to work. On May 7, the assault guards entered Barcelona unopposed, and soon there were twelve thousand government troops in the city. In the days following the fighting in Barcelona, various Communist newspapers engaged in a massive propaganda campaign against the anarchists and the POUM. Pravda and the American communist Daily Worker claimed that Trotskyists and Fascists were behind the uprising. The Spanish Communist party newspapers also viciously attacked the POUM, denouncing them as traitors and fascists. The Communists, supported by the centrist faction of the Spanish Socialist Workers' Party (PSOE) under Indalecio Prieto now called for the POUM to be dissolved, but PM Largo Caballero resisted this move and the Communists along with their allies in the PSOE then left the government in protest. The following crisis led to the removal of Largo Caballero by President Manuel Azaña. Azaña then appointed Juan Negrín (a centrist socialist and ally of the Communists and the Kremlin) as the new premier. The new cabinet was dominated by the Communists, center socialists and republicans, the CNT and left wing of the PSOE were not represented. The Communist Party of Spain (PCE) had now come to the fore as the most influential force in the Republican government. In Catalonia, now controlled by troops under the Command of Communist General Sebastián Pozas and newly appointed Barcelona chief of Police Ricardo Burillo, the CNT independent police patrols were dissolved and disarmed. Furthermore, the CNT were completely removed from their positions at the Franco-Spanish border posts. Another major blow to the CNT was the dissolution of countless revolutionary committees throughout Catalonia by the army and assault guards. When a new cabinet was formed by President Companys, the CNT decided not to participate. In the months that followed, the Communists carried out a campaign of arrests, tortures and assassinations against the CNT. The imprisonment of many Anarchists caused a wave of dissent in working class quarters. Meanwhile, the Communists working with Soviet agents seized most the POUM leadership along with many of its members. The POUM secretary Andrés Nin was also arrested, send to a secret prison in Alcalá de Henares and eventually murdered. Nin's disappearance and the repression of the POUM caused an international outcry from various left wing organizations and further deepened the divisions within the Republic. By the end of May 1937, the Communists were conducting a campaign to destroy the rural collectives. The PCE used the Popular army and the National Guard to dissolve CNT committees and aid tenant farmers and sharecroppers recover land lost in the revolution. On 11 August, the Eleventh popular army division dissolved the CNT dominated Regional Defense Council of Aragon by force. With the aid of the army and the assault guards, the tenant farmers and small owners who had lost their land in the beginning of the revolution now divided up the land confiscated from the collectives. Even those collectives that had been created voluntarily were raided. This caused widespread discontent amongst the peasants, the situation became so dire that the Communist party agrarian commission admitted that "agricultural work was paralyzed" and was forced to restore some of the collectives. In spite of the continued attacks by the PCE, the CNT eventually agreed to sign a pact of cooperation with the now Communist dominated UGT (the PCE had infiltrated the UGT and ousted Largo Caballero from his position in its executive). The pact was supposed to guarantee the legality of the remaining collectives and of worker's control, while at the same time recognizing the authority of the state on matters such as nationalization of industry and the armed forces. In reality, the collectives were never granted legal status, while the agreement served the further divide the anarchist movement between the anti-statist and collaborationist camps. On March 7, 1938, the Nationalist forces launched a massive offensive in Aragon. They succeeded in smashing the Republican defenses so thoroughly that their forces had reached the Mediterranean coast by 15 April, splitting the Republican territory in two. Catalonia was now cut off from the rest of the Republican territory. By 1938 the Communist party was also in control of the newly created Military Investigation Service. The SIM was virtually dominated by Communist party members, allies and Soviet agents such as Aleksandr Mikhailovich Orlov and used as a tool of political repression. According to Basque nationalist Manuel de Irujo, "hundreds and thousands of citizens" were prosecuted by SIM tribunals and tortured in the SIM's secret prisons. Repression by the SIM as well as decrees which eroded Catalan autonomy by nationalizing the Catalan war industry, ports and courts caused widespread discontent in Catalonia amongst all social classes. Relations worsened between the Generalitat and the central government of Negrín, now based in Barcelona with the resignation of Jaime Aiguadé, representative of the Republican Left of Catalonia (ERC) party in the government and Manuel de Irujo, the Basque Nationalist minister. There was now widespread hostility amongst Republicans, Catalans, Basques and Socialists towards the Negrin government. As the Communists were forced to rely more and more on their dominance of the military and police, morale declined at the front as countless dissenting anarchists, republicans and socialists were arrested or shot by commissars and SIM agents. Meanwhile, there was now a growing schism within the CNT and the FAI. Leading figures such as Horacio Prieto and minister of education Segundo Blanco argued for collaboration with the national government. Dissenting anarchists such as Jacinto Toryho, the director of Solidaridad Obrera and FAI delegate Pedro Herrera were harshly critical of this policy. Toryho was removed from his position by the CNT national committee on May 7, 1938. Two months before the fall of Catalonia, a national plenum of the libertarian socialists was held in Barcelona between 16 and 30 October 1938. Emma Goldman was in attendance and she defended the FAI in "opposition to the growing encroachment of the Negrín government on the libertarian achievements". According to José Peirats, Horacio Prieto argued for an "undisguised reformism bordering on Marxism," and that "truly effective action" was only possible through "organs of power." He also criticized the naivete of the anarchists and its "lack of concrete plans." Between July and November 1938 the Republican forces launched their largest offensive yet which was designed to reconnect their divided territory with Catalonia. Lacking in air support, armor and heavy artillery, the Popular army was soundly defeated in the disastrous Battle of the Ebro. According to Beevor, losses were as high as 30,000 in the Republican side. The Popular army was practically destroyed. It was the last action of the International Brigades and the Republican air force. On December 23, Nationalist forces launched their assault on Catalonia. By now, most Catalans were demoralized and tired of the fighting. Alienated by the Negrin government and the Communist party's nationalization of industry, the CNT was filled with defeatism and internal division. Pi Sunyer, mayor of Barcelona and a leader of the ERC, told President Azaña that "the Catalans no longer knew why they were fighting, because of Negrín's anti-Catalan policy." Catalonia was swiftly conquered by Nationalist troops. After 4 days of aerial bombardment (between 21 and 25 January), Barcelona fell on January 26. Afterwards there followed five days of looting and extrajudicial killings by the Nationalist troops. Between 400,000 and 500,000 refugees including the defeated Army of Catalonia crossed the border into France. With the Nationalists now in control, Catalonian autonomy was abolished. The Catalan language, the Sardana and Catalan Christian names were forbidden. All the Catalan newspapers were requisitioned and the forbidden books retired and burned. The Austrian author Franz Borkenau was sharply critical of the anarchists in Catalonia. In a book which was also very critical of the USSR-backed Communists, he described the terror which they had inflicted on Barcelona residents and their environment. During the first weeks of the war, courts of law were replaced by revolutionary tribunals. Extrajudicial killings by militants and vigilantes soon followed. "Everybody created his own justice and administered it himself...Some used to call this 'taking a person for a ride' [paseo] but I maintain that it was justice administered directly by the people in the complete absence of the regular judicial bodies." During the initial fighting several thousand individuals were executed by anarchist and socialist militants based on their assumed political allegiance and social class. "We do not wish to deny that the nineteenth of July brought with it an overflowing of passions and abuses, a natural phenomenon of the transfer of power from the hands of privileged to the hands of the people. It is possible that our victory resulted in the death by violence of four or five thousand inhabitants of Catalonia who were listed as rightists and were linked to political or ecclesiastical reaction." Because of its role as a leading supporter of the Nationalist cause, the Catholic Church came under attack throughout the region. Church buildings were burned or taken over by the CNT or by supporters of the Republican government and turned into warehouses or put to other secular uses. Thousands of members of the Catholic clergy were killed and tortured and many more fled the country or sought refuge in foreign embassies. Antony Beevor estimates the total number of people killed in Catalonia in the summer and autumn of 1936 at 8,352 (out of a total of 38,000 victims of the Red Terror in all of Spain). Vivir la utopía / Living utopia, a documentary film by Juan Gamero, Spanish with English subtitles, 94 min. Libertarias, a Spanish film directed by Vicente Aranda about the Mujeres Libres, an anarcha-feminist group closely affiliated with the CNT-FAI. Land and Freedom, based loosely on Homage to Catalonia. ↑ Bolloten, Burnett (1991). The Spanish Civil war: Revolution and counter-revolution. University of North Carolina Press. p. 192. ↑ Address to the International Working Men's Association Congress by Emma Goldman. 1 2 Bolloten 1991, p. 55. 1 2 Bolloten 1991, p. 57. ↑ Bolloten 1991, p. 60. ↑ Bolloten 1991, pp. 223–224. ↑ Bolloten 1991, p. 224. ↑ Fabregas, Joan P; Tarradellas, Josep (24 October 1936). "Col·lectivitzacions i Control Obrer". ↑ Tarradellas, Josep; Fabregas, Joan P (28 October 1936). "Diari Oficial de la Generalitat de Catalunya" (PDF): 373–376. ↑ Bolloten & 1991 223-224. ↑ Bolloten 1991, p. 225. ↑ Bolloten 1991, p. 227. 1 2 Bolloten 1991, p. 58. ↑ Goldman, Emma (2006). Vision on Fire: Emma Goldman on the Spanish Revolution (PDF). AK Press. pp. 81, 84. ISBN 978-1904859574. 1 2 Beevor 2006, p. 107. ↑ Bolloten & 1991 p62. ↑ Bolloten & 1991 p65-66. ↑ Bolloten & 1991 p66. ↑ Bolloten & 1991 p63-64. 1 2 Bolloten & 1991 p75. ↑ Bolloten & 1991 p76. ↑ Bolloten 1991, p. 242. ↑ Beevor, Antony (2006). Battle for Spain the Spanish Civil War, 1936-1939. New York: Penguin Books. p. 295. ISBN 0-14-303765-X. ↑ Kelsey, Graham (1991). Anarchosyndicalism, Libertarian Communism, and the State: The CNT in Zaragoza and Aragon, 1930-1937. Dordrecht: Kluwer Academic, International Institute of Social History. p. 161. ISBN 0-7923-0275-3. ↑ Bolloten & 1991 p83-84. ↑ Bolloten 1991, p. 250. ↑ Bolloten 1991, p. 254. ↑ Bolloten 1991, p. 256. ↑ Bolloten 1991, p. 259. ↑ Bolloten 1991, p. 261. ↑ Ibárruri 1984, p. 382. ↑ Bolloten 1991, pp. 273–275. ↑ Bolloten 1991, p. 277. ↑ Bolloten 1991, pp. 322–4. ↑ Bolloten 1991, pp. 326-7. ↑ Bolloten 1991, p. 330. ↑ Bolloten 1991, p. 333. ↑ Bolloten 1991, p. 488. ↑ Borkenau, Franz (1974). The Spanish Cockpit. University of Michigan Press. p. 178. ↑ Stephen D. Mumford. The Life and Death of NSSM 200, pages 263-266. ↑ Beevor, Antony (2006). The Battle for Spain, the Spanish Civil War, 1936-1939. Penguin. p. 87. Bolloten, Burnett (1991). The Spanish Civil War: revolution and counterrevolution. University of North Carolina Press. ISBN 978-0-8078-1906-7. Beevor, Antony (2006) . The Battle for Spain: The Spanish Civil War 1936–1939. London: Weidenfield and Nicolson. ISBN 0-297-84832-1. First published as The Spanish Civil War. Orwell, George (2012). Homage to Catalonia. HarperCollins Canada. ISBN 978-1-4434-1676-4. Wikimedia Commons has media related to Anarchism in Spain. 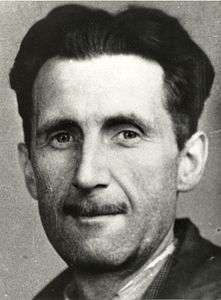 Homage to Catalonia by George Orwell, writer and officer in the POUM militia. First hand account of the Aragon front and Revolutionary Barcelona. MILITANT ANARCHISM and the REALITY in SPAIN by Federica Montseny. The Tragic Week in May by Augustin Souchy. Writings on the Spanish Anarchists by Camillo Berneri. The Collectives in Aragon Excerpt from Gaston Leval's Social Reconstruction in Spain (London 1938). A day Mournful and Overcast... by an "uncontrollable" from the Iron Column. Article in "Nosotros", the daily newspaper of the Iron Column in Valencia, March 1937. The revolutionary movement in Spain by Helmut Ruediger (under Pen name M. Dashar). Living utopia (Living Utopia, Anarchism in Spain) documentary by Juan Gamero, Spanish with English subtitles, 94 min. Roig I Negre (Red and Black), a documentary on Anarchism in Catalonia by TV3 (Catalonia) (In Catalan).